The Oregon Coast STEM Hub can connect you with activities to help engage learners of all ages with fun science, technology, engineering and math programs and events. This includes afterschool programs, clubs, and public events that can get the whole family involved! Be sure to also visit the Summer and School Breaks page, and see information about higher education scholarships on the College page. MATE Oregon Regional ROV Competition - link - Students from upper elementary to college age build remotely operated vehicles (ROV) and use them to complete underwater missions. 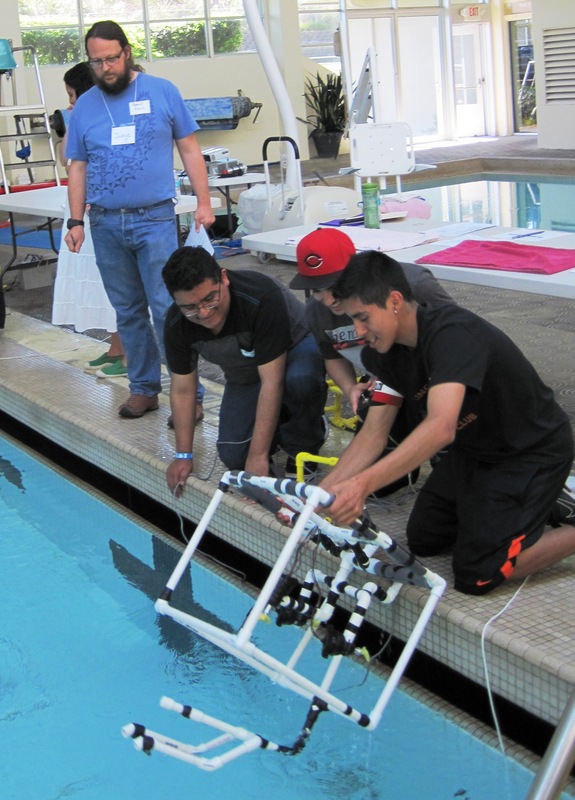 The 2019 MATE Oregon Regional ROV Competition will be held April 20, 2019. The missions will be released in December and team registration will open in February. Oregon Game Project Challenge - link - Put your programming and design skills to the test! The Oregon Game Project Challenge (OGPC) invites MS and HS students to create a computer game that meets a theme-based challenge. The theme for the next competition is announced in November. BPA Science Bowl - link - The Bonneville Power Administration sponsors the nation’s largest regional science bowl for middle and high school students. The fast-paced academic bowl tests student knowledge in all aspects of science: math, geology, chemistry, physics, environmental science and more. Team registration begins in October and the competitions will be held at University of Portland; middle school on February 2, 2019 and high school on February 9, 2019. FIRST LEGO League and FIRST TECH Challenge Robotics Clubs - link - Explore the Oregon Robotics Tournament and Outeach Program. Teams complete missions with their student-built robots, as well as research and present an engineering solution. Oregon Science Olympiad - link - Science Olympiad is the premier national science competition at the middle and high school levels. Teams of up to 15 students compete in 23 events in this science and engineering competition. The state tournament takes place in Corvallis in April, and team registration typically begins in January. MATHCOUNTS - link - This national middle school coaching and competitive mathematics program promotes mathematics achievement through a series of fun and engaging "bee" style contests. Team registration typically occurs in November and competitions are held in February. For more information, contact your regional Mathcounts Coordinator. Oregon Council of Teachers of Mathematics - link - This professional organization's website lists a number of local, national and mail-in contests for students. Lexus Eco Challenge - link - For students in Grades 6-12. Teams tackle environmental issues & create practical solutions while competing for scholarships and grants. The contest is aimed at land, water, air, and climate. Land/Water Entries due October 15, 2018. Air/Climate Entries due December 10, 2018. NOAA Marine Debris Art Contest - link - K-8 art submissions should feature marine debris impacts and what you are doing to reduce marine debris. Submissions are due November 30, 2018. Google Science Fair - link -Google Science Fair is a global online competition open to individuals or teams from 13 to 18 years old. Lincoln County's 21st Century After School Program - The 21st Century Community Learning Center After School Program in the Lincoln County School District provides 2.5 hours of afterschool enrichment for students each school day, with a focus on science, technology, engineering, mathematics, arts and reading. Visit the website for more information. 4-H - Many OSU Extension offices have STEM-related clubs and programs for youth, including FIRST LEGO robotics and MATE ROV teams. Contact your local 4-H office to see what is available in your area.